Whether your needs are for accounting, audit, tax, finance, management consulting or financial planning Hendry Warren LLP provides exceptional service for both individual and corporate clients. Partners Ian Hendry, Daniel Warren, Marie Fraser, Nancy Nicks, Blair Duffy, Jacob Milosek, Todd Hamilton, and David Ienzi, and their staff of 50 professionals ensure the right individual is working with you, to meet your needs efficiently and cost effectively. With over 15 years of service excellence in the Ottawa business community at Hendry Warren LLP, compromise on quality is not an option. Ian’s areas of expertise include corporate and personal tax planning, financial and estate planning and wealth management. He prides himself in effectively communicating financial concepts to his clients. Ian believes that when you have a better understanding of your financial results and issues, you make better decisions. Your objectives and your individual circumstances – whether personal or business related – are key in Ian’s advice process. He’s active in recruiting top students for the firm. Ian is an active member of the Kiwanis Club of Ottawa and works closely with the Lisgar Collegiate Institute Key Club to mentor and advise students, as well as being chair of the Legacy Fund Committee. He is past chair of the Board of Directors of Roger's House and the CHEO Foundation and currently sits as an active board member of Roger's House. Dan focuses on owner-managed businesses. That involves a unique blend of business, financial, and tax issues at the corporate and personal levels. He is also an income tax specialist. Areas of expertise include federal and provincial income taxation, personal financial planning, Harmonized Sales Tax, business succession planning, and corporate restructuring. Dan believes that your business is an extension of who you are. As a trusted advisor to entrepreneurs, Dan understands that your business fulfills your goals and needs. Often consulted by fellow CPA’s, as well as lawyers on tax matters, Dan keeps himself current with developments in the area of federal and provincial taxation. Community-minded, Dan has been involved in the Fuller-Keon Golf Tournament raising funds for the University of Ottawa Heart Institute Foundation, as well as with the Bruyere Foundation. Passionate about hockey, Dan also coached for the Nepean Minor Hockey Association for ten years and was involved in the Bell Capital Cup. Marie’s expertise is in financial accounting, auditing, not-for-profit reporting, and financial planning. If you’re an owner-managed business, an entrepreneur, or a not-for-profit organization, you’ll find Marie’s knowledge and attention to service valuable. As a Chartered Professional Accountant and Certified Financial Planner with experience across a wide range of industries, Marie can address issues relating to your business’s taxes, reporting and planning. Previously serving as the volunteer treasurer for Dress for Success – National Capital Region, and as a member of the WXN, Women for Mental Health, and The NPO Group, Marie is actively involved in the business community. She has also been on the boards of the Lisgar Alumni Association, the Canadian Theatre Festival Society and the Women’s Business Network. As well as catering to your accounting needs, Marie oversees the administrative operations of Hendry Warren LLP. Marie is a member of CPA Canada and CPA Ontario and the Canadian Institute of Financial Planners. Nancy focuses on entrepreneurial business and small business start-ups, providing advisory services in controllership, financial accounting, and taxation in a variety of industry sectors. Providing you with personal attention and taking time to understand your business allows Nancy to deliver excellent service focusing on both your business and personal financial goals. Nancy is responsible for auditing and assurance engagement quality control and is the training principal for the firm’s CPA student training program. She is also actively involved in managing human resources and recruitment efforts for the firm. Nancy is a member of CPA Canada and CPA Ontario. Nancy is a member of Women for Mental Health and the Women’s Executive Network. She also helps out in the community by serving as Treasurer for Carleton Heights Curling Club. Blair has a broad range of experience working with owner managed businesses, ensuring that not only their accounting and taxation needs are met, but also their business growth objectives are met. For Blair, delivering superior service and personal attention to your unique accounting and taxation needs is a priority. Professionally, Blair enjoys mentoring and training junior staff members, as he recognizing that they are the future leaders of our firm and our business community. Blair is a graduate from Wilfrid Laurier University and a member of CPA Canada and CPA Ontario. Community-wise, Blair currently serves as Treasurer for the Kanata Stittsville Refugee Sponsorship Group whose primary objective is to raise funds, select refugee candidates. He helps them navigate the government approval process, and then finally settle within the National Capital Region. Jacob’s practice focuses on owner-managed businesses. As an income tax specialist Jacob can assist you with a variety of business advisory and tax related matters both on the corporate and personal levels. Tax specific services include compliance based filings, tax and estate planning, corporate reorganizations, case specific research, and making representations to tax authorities in connection with audits and appeals. Jacob is also involved with tax related staff training programs and enjoys organizing firm social events. 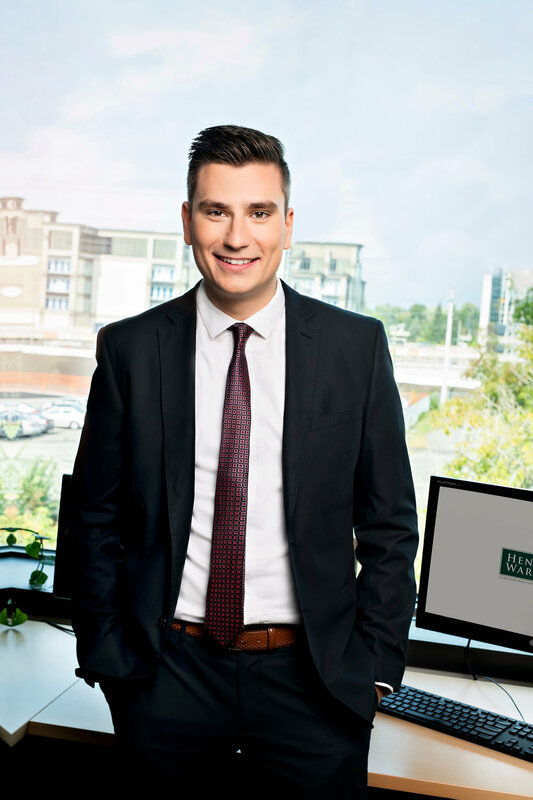 Graduating with highest honours from Carleton University in 2008, Jacob received his Chartered Accountant designation in 2009. Jacob proceeded to complete the In-Depth Tax Course in 2013. Jacob is a member of CPA Canada and CPA Ontario, the Canadian Tax Foundation and is a board member of the Ottawa Estate Planning Council. He also acts as a tutor for the Income Tax Practice Course offered by the Chartered Professional Accountants Canada. Todd has a broad range of public accounting and industry experience and his career is dedicated to helping business owners, directors and executive management of private companies and not-for profit organizations. His areas of expertise include financial reporting, assurance and accounting which is complimented by a broad knowledge and strong background in corporate and personal taxation. He prides himself on his full-service approach to client service which includes providing strategic yet pragmatic value-added solutions to help his clients realize personal financial goals and organizational objectives. Todd enjoys networking and marketing along with coaching and mentoring young professionals and is a member of the firm's Marketing committee. In the past, Todd has volunteered as a member of the Financial Advisory Committee of the Ontario Zone of the Canadian Red Cross. He is also the past Treasurer of Actua, a national charity that helps youth by reaching out to them and engaging them in science, technology, engineering, and mathematics. David is keenly focused on providing private companies and their owner managers with value-added advice in the areas of assurance, accounting, valuation and taxation. As a Chartered Business Valuator, he is skilled in assisting companies to assess their value whether it be for tax and estate planning, intergenerational transfers, or business succession. Dave’s experience as a CFO provides him with insight into the day to day operations of private companies and he provides advisory services in this area. A graduate of the University of Ottawa’s Commerce program, Dave is a member of CPA Canada, CPA Ontario and the Canadian Institute of Chartered Business Valuators. David enjoys volunteering in community based initiatives focused primarily on engaging youth. He was previously a VP and board member of the Ottawa Chapter of the Canadian Italian Business and Professionals Association. Jennifer can assist you with a variety of tax related matters. Ranging from compliance to planning, Jennifer can help you in the areas of personal, corporate, estate and trust tax. She has successfully completed the CPA Canada’s In-Depth Tax Course. Jennifer became part of Hendry Warren’s tax group in 2011. Jennifer hails from Newfoundland and Labrador but came to Ottawa to pursue a degree in Commerce. She graduated with highest honours and received a senate medal from Carleton University in 2009. Jennifer is a member of CPA Canada and CPA Ontario. Jaime works with the auditing and assurance team in the preparation of Notice to Reader and Review Engagement financial statements for corporate clients. Meeting and exceeding your expectations is one of Jaime’s goals. Along with managing the firm’s expanding bookkeeping practice, Jaime is actively involved in co-op student training and mentoring. She is a member of CPA Canada and CPA Ontario and obtained her Certified General Accountant designation in 2008. Throughout her time at Hendry Warren, Michelle has developed a keen interest in assisting owner-managed businesses with their accounting, assurance and taxation needs. Michelle thrives on working with clients and peers to meet deadlines while providing high quality, professional client service. Michelle joined Hendry Warren in 2012 as a co-op student from the University of Ottawa and was hired on full-time in early 2014. She is a member of CPA Canada and CPA Ontario and obtained her Chartered Accountant designation in 2016. In her personal life, Michelle enjoys helping out the local community by sitting on the audit committee for Roger Neilson House and as a board member for the Heron Emergency Food Centre. Shaina focuses on assurance engagements with our Audit team, performing a range of services, but always ensuring deadlines and a quality product are the number one focus. In addition, she is active in training junior staff members. Shaina graduated from Dalhousie University with a Bachelor of Commerce in 2013, and returned close to home to join Hendry Warren full time in 2014 after alternating co-op placements with the firm. Serving on various committees at work including the social committee and the professional development committee, Shaina also serves as the Treasurer for the Heron Emergency Food Centre aiming to give back to members of the Ottawa community. Shaina is a member of CPA Canada and CPA Ontario. Megan works primarily with our assurance clients providing exceptional service in audit and review engagements as well as special projects, including due diligence support. She enjoys helping clients understand the analytics and financial ratios that drive their business. From gaining a comprehensive understanding of our clients’ operations she is able to make suggestions to strengthen internal control processes in an efficient manner. At Hendry Warren LLP, Megan enjoys being active in developing the future auditors of the firm and is actively involved in the Firm’s Quality Assurance and File Quality Monitoring program. Megan grew up in the Ottawa Valley town of Barry’s Bay and graduated from Brock University in 2011 with a degree in Honours Accounting before joining Hendry Warren full-time in October 2012. With over 16 years of experience working with the partnership group, Shona has built up corporate knowledge of the firm that allows her to ensure the smooth operation of the day to day tasks as well as efficiently handling client inquiries and managing administrative duties. She completed undergraduate studies at U of O obtaining degrees in both English Literature and Education which she uses to provide support in training staff on new procedures, software and general office administration. Shona has a strong commitment to providing excellent customer service and a positive firm environment for both staff and clients. In her spare time Shona is an avid volleyball player, enjoys travelling regularly, reading and playing board games. Spencer works in the tax group addressing client issues and solving client problems, efficiently and effectively. In addition, he manages the junior staff in the tax department to meet the needs of clients, and assist the individuals in their career progression. Spencer has expertise in personal and corporate income tax, succession and estate planning, corporate restructuring and financial planning. Spencer is a member of CPA Ontario, CPA Canada, The Canadian Tax Foundation and the Ottawa Estate Planning Council. Robin’s focus is working with entrepreneurs and business owners to meet their financial, accounting and tax obligations, and to assist them in navigating the ever-changing world of accounting and tax. In addition to her work with clients, and mentoring and training junior staff members, Robin is a member of the social committee at Hendry Warren. After completing her Masters of Accounting at the University of Waterloo, Robin jointed Hendry Warren full time in 2014. Muhamad is excited to help owner-managed businesses with their accounting, assurance, and taxation needs. He uses a collaborative approach to ensure clients receive accurate and relevant information to achieve their financial goals. His experience as a financial controller has given him first hand knowledge of the operational side of an organization. A graduate of the University of Ottawa’s commerce program with a specialization in accounting, Muhamad has also successfully completed CPA Canada’s In-Depth tax course. Brock works with small business owners and entrepreneurs with all of their accounting and taxation needs. He strives for excellence in technical knowledge and client service, and is proud to work at a firm that promotes those values. He is currently studying for his Chartered Business Valuator (CBV) designation. A graduate of Carleton University in Ottawa, Brock joined the Hendry Warren in 2015.